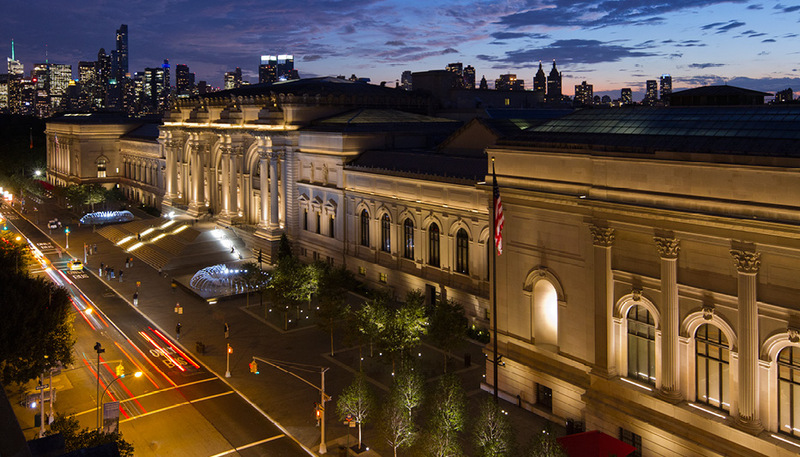 The plaza balances the Museum's need for a functional and highly durable space to accommodate the nearly 10 million visitors a year, with the Museum's desire for a beautiful and inspiring space that is visually compatible with and respectful of the landmarked Fifth Avenue Facade. 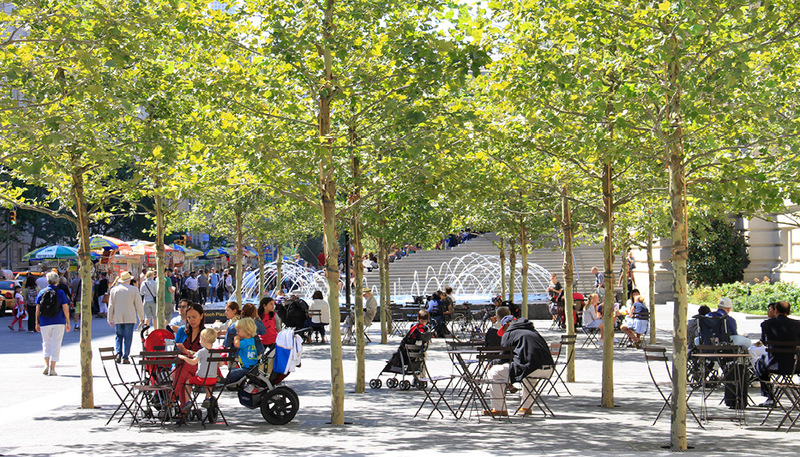 This dance between form and function resulted in a symmetrical design composed of four simple elements - durable paving, a variety of seating options, a restrained but impactful planting palette, and monumental fountains. Although the layout of these elements is primarily driven by and tied to the architectural rhythm of the facade, the layout also invisibly responds to the extraordinary constraints imposed by Manhattan's web of underground utilities. Comprehensive and dynamic lighting for both the plaza and the 1,200 foot long facade further unifies the space for all users after dark. Scott Dismukes was the lead project manager and primary client contact while an Associate at OLIN for all project phases including directing all visual communication, technical documentation, construction review, and financial management.